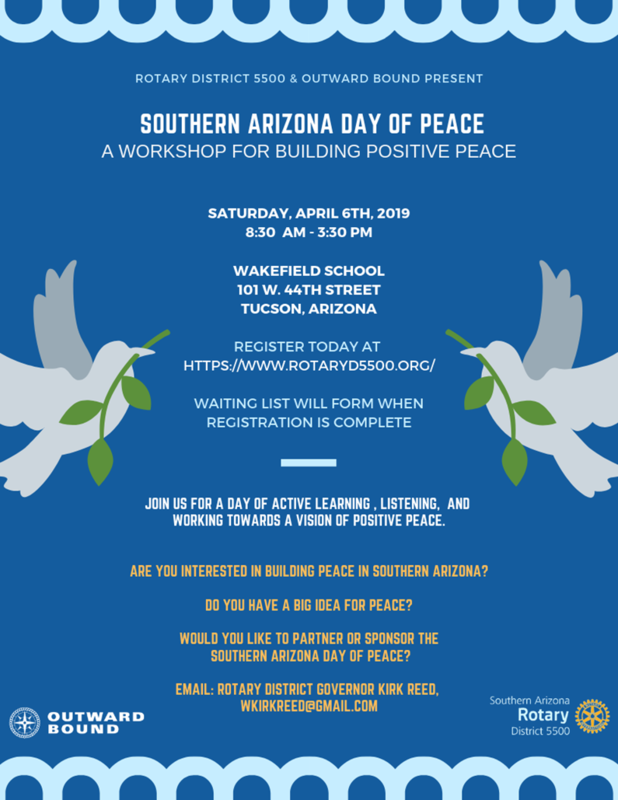 One of the biggest and most significant Rotary events of 2019 will be our Southern Arizona Day of Peace on Saturday, April 6. Rotary is partnering with the Outward Bound Center for Peacebuilding to do something that can have lasting importance. Instead of a day of speeches, we will experiencing practical ways to create positive peace in ourselves, in our communities, and in the larger world. Our planning team of 12 leaders includes 6 Rotarians, 3 Rotaractors, a Rotary Peace Fellow, and 2 community leaders. Space is limited, and a waiting list will be formed (like stand-by passengers at the airport), so please register early to assure a spot for yourself, your fellow Rotarians, and friends who are not part of Rotary. This is not an event exclusively for Rotarians – community members are invited as well, along with Rotaractors and Interactors. The cost – which includes lunch – has been kept as low as possible. 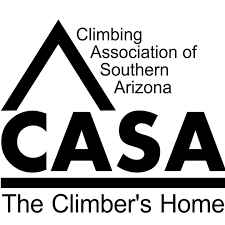 Optional t-shirts are available at a small additional cost. Please help us spread the word, using the attached flier to let others know what is planned. Registration is at our district website, www.rotaryd5500.org. City High School was founded in 2004 and currently enrolls approximately 180 students per year in grades 9-12. The student population represents a cross-section of the Tucson community, coming from a wide variety of feeder schools, neighborhoods, and ethnic and cultural backgrounds. This diversity allows students to learn from each other and their community. We are a small school by design, in order to achieve a high level of personalization. We strive to ensure that teachers and students know one another well and that all students get the support they need – and receive the challenges they are ready for – to achieve at their highest levels.